NRL chief executive Todd Greenberg says he has no regrets about the way he handled allegations of domestic violence against Ben Barba in 2013. 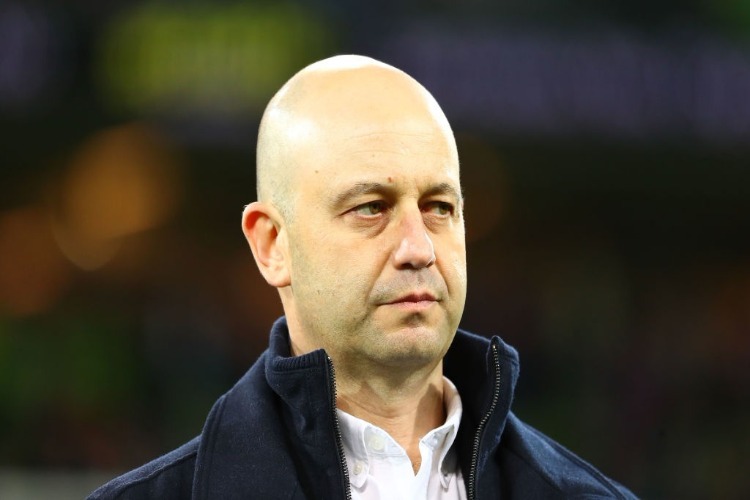 NRL chief Todd Greenberg has denied he failed to properly investigate domestic violence allegations against Ben Barba in 2013, saying he did what he could with the evidence in front of him. Barba is being investigated by Queensland police after he allegedly struck his partner, Ainslie Currie, at a Townsville casino on the Australia Day weekend. He was sacked by North Queensland and the NRL on Saturday threatened to ban him for life if he is found guilty. Questions are now being asked about an incident six years ago after which News Corp Australia published photos of Currie with cuts and bruises to her face. At the time, Greenberg was Bulldogs CEO and stood down Barba for personal reasons, including gambling issues. Greenberg was criticised for not investigating the allegations of domestic violence. However he says he was hamstrung by the evidence in front of him at the time. "I would urge you to go back and read the testimonies and interviews with people like his partner at the time," Greenberg said. "It's really important that you go back and read what she said at the time and understand that the integrity unit did an independent investigation, she decided not to participate in but provided a statement to." The NRL appointed Tony Bannon QC to conduct an independent inquiry into the Bulldogs' handling of the 2013 incident and Greenberg was cleared of any wrongdoing. While the photos of his partner appeared damning, the Bulldogs said at the time she did not make them aware of allegations of domestic violence. "I encourage you to speak about facts, not innuendo. And not rumours," Greenberg said. "You can only deal with the presentation of evidence. You are dealing with people's livelihoods, careers and you must only deal with the information that's put in front of you. "Go back and read the information. It was independently assessed at the time. If you go back and read what we dealt with at the time, we didn't have information and evidence that allowed us to make decisions."